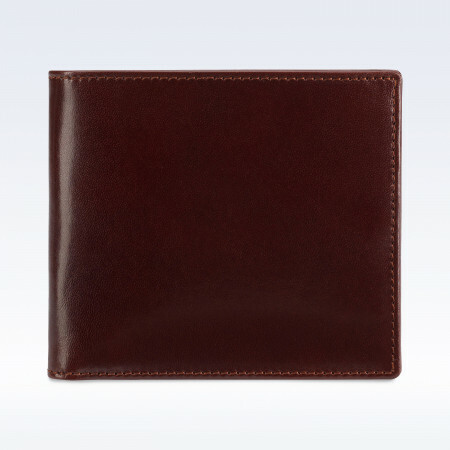 Crafted from luxurious smooth Chestnut Italian leather, a classic slim luxury men's leather hip wallet for stylish everyday use about town. 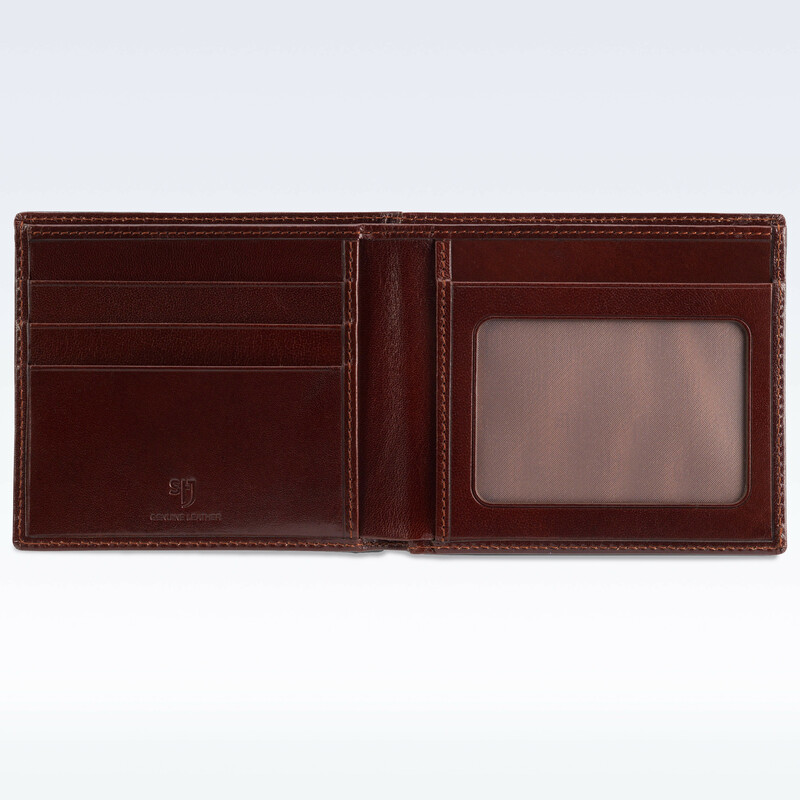 One long note compartment to the rear, three credit card slots, a transparent window for identity, driving licence or travel cards, two security pockets for receipts, business cards etc, designed and crafted to be compact, slim, neat to fit perfectly in your pocket. 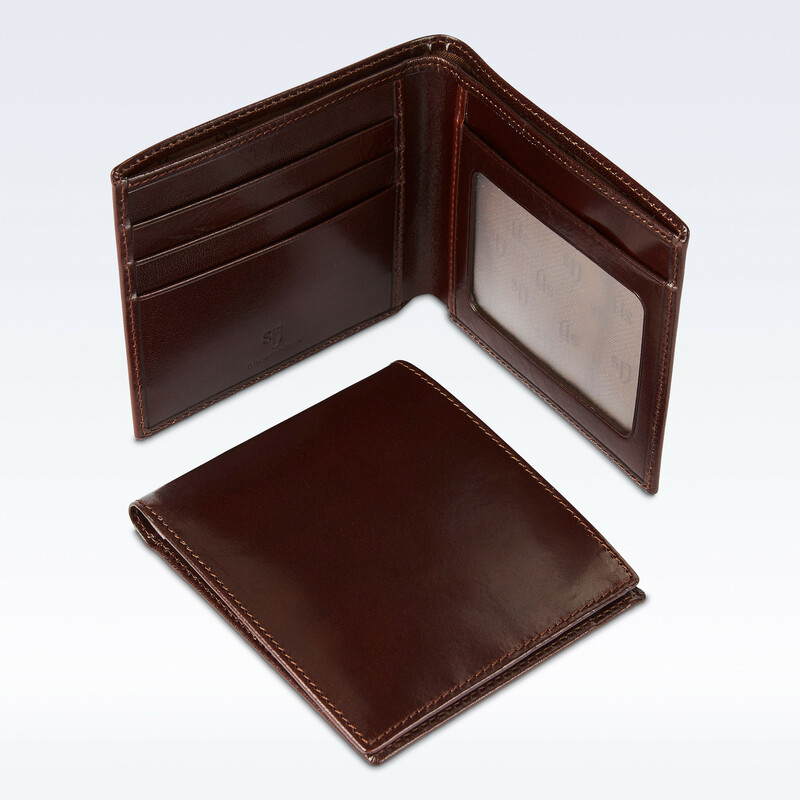 Contains 3 card slots and large note compartment. 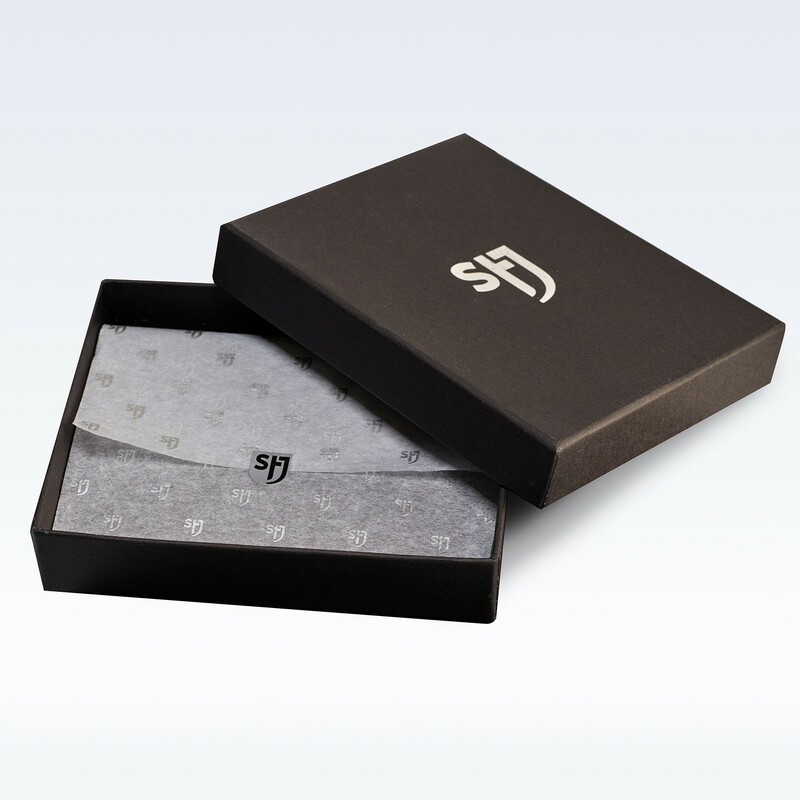 Clear window pocket for travel card, driving license or ID card and 2 discrete hidden pockets.